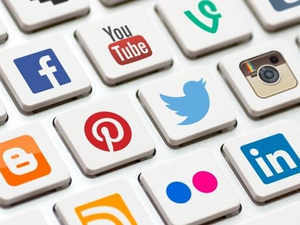 Britain will make social media executives personally liable for harmful content published on their platforms, a leaked government proposal said Friday. The UK government is due to unveil as early as Monday a policy paper outlining ways to fight everything from online hate speech to election interference and manipulation attempts. The issue gained added urgency with Facebook’s failure to immediately halt livestreams of a March 15 attack by a self-avowed white supremacist on two mosques in New Zealand that killed 50 people. The Guardian newspaper said the UK government’s “white paper” outlining its social media oversight proposals would be published Monday after months of delays. It said they included plans to make social media executives personally liable for harmful content distributed on their apps and sites. The initial implementation phase would probably be overseen by Britain’s Ofcom media regulator, with a separate independent oversight body created down the line, The Guardian said. The report added that the regulator would have the power to impose “substantial” fines. A government spokesman did not confirm or deny The Guardian report, noting that the proposals would be published “shortly”. “We have heard calls for an internet regulator and to place a statutory ‘duty of care’ on platforms, and have seriously considered all option,” the government spokesman said. British proponents of tougher social media regulations hailed the reported plan. Ian Russell, whose 14-year-old daughter Molly took her own life in 2017 after following a range of social media accounts on depression and suicide, called stricter regulation “a matter of life and death”. “Governments have allowed social media platforms to be self-regulated, but remember this really is a matter of life and death and it’s getting worse,” Russell said.